Ottimo Digital was founded to provide the highest quality in large format printing with an amazing level of customer service. 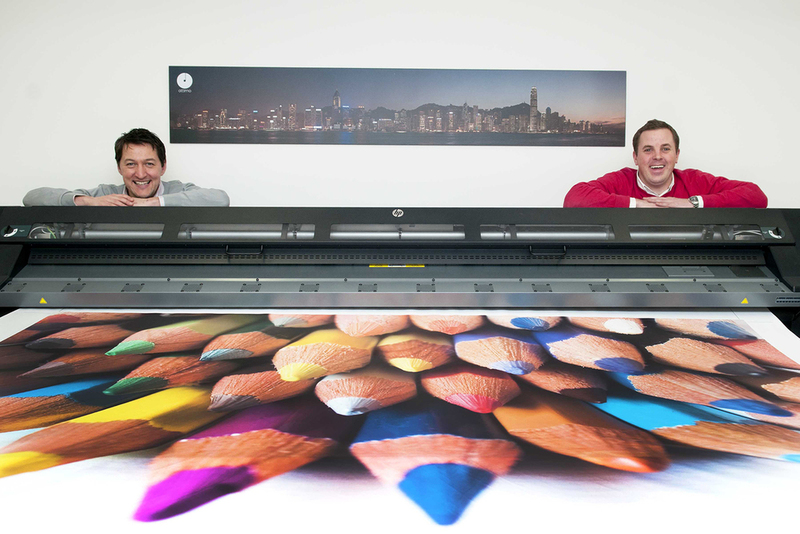 In 2009 Lee Crew and Nick Lindwall spotted an opportunity to provide a better standard large format digital printing service in South Wales and the UK. Starting out in a print room less than 20 square metres in size and with just one 1600mm wide solvent printer, the business quickly grew, taking on more machinery including UV flatbed and most recently a 5 metre wide UV LED printer, and moving to a 5000 square foot production facility in 2012. Many companies talk about offering great service - yet our experience has been that few ever truly deliver it. We provide the best possible quality in print and finishing, with a high level of attention to detail: it's simply fundamental to our entire business. We'd also like to think that we're pretty good at project management - evidenced by the fact we frequently deliver our work with super-fast turnaround times to meet last-minute deadlines. We believe in building long term business relationships based on confidence and trust. In fact it is our own strong supply chain that has so far helped us to build a successful business. If you are in the design or exhibition industry and buy any quantity of large format printing for your clients we really want to work with you. Please get in touch to see what we can do for each other.